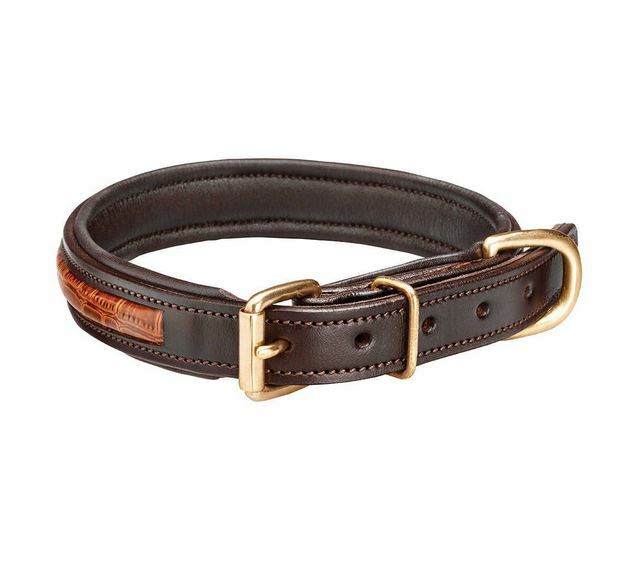 Superior quality leather collar with stylish croc effect insert. Features soft padding on inside for added comfort and pressure relief. Premium quality brass fittings. Below are some recent questions we've received regarding Woofmasta Croc Leather Collar, including answers from our team. I can see the already answered question about the lengths. But I don’t quit get it. The lengths are between 70’ish and 105 cm? No dog would match those lengths. My dog now wears one that’s 50 cm of length and she’s an English Staffordshire Bullterrier. Small/medium of height with a thicker neck than other dog races of her size. Can you describe the lengths of the collar again? I've looked into it and the sizes are as follows: 14 inches (S), 15 inches (M), 16.5 inches (L). What size for my dog? I have a 30kg pitbull who is a strong puller, would this hold him safely? and what size would he be? he has a 17 inch neck circumference.